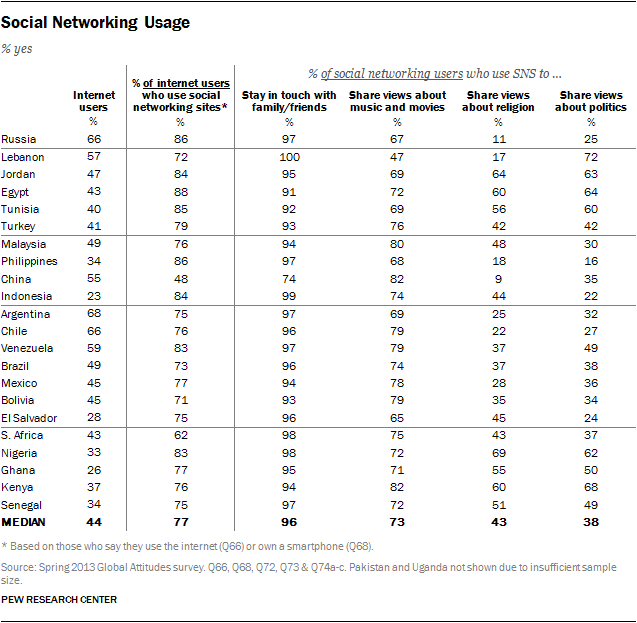 In 21 of 24 nations, a majority of internet users also participate in sites like Facebook and Twitter (see here for a country by country list of social networking sites). 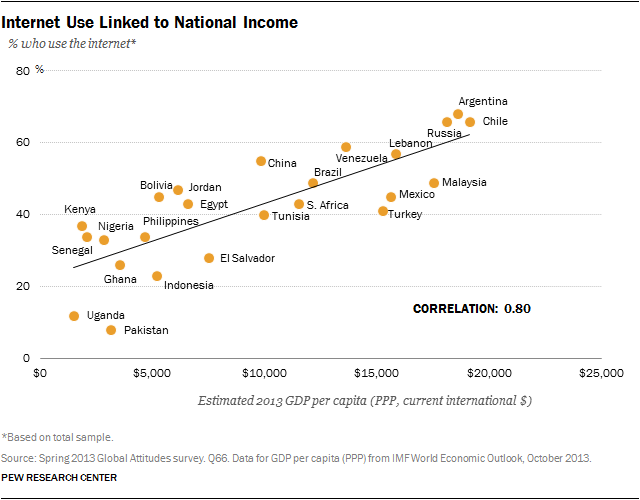 While making or receiving payments is one of the least common cell phone activities, it is much more common in the region where mobile money is a phenomenon – Africa, and more specifically, Kenya and its neighbor Uganda. Nearly seven-in-ten Kenyans (68%) who own a cell phone say they regularly use their mobile device to make or receive payments. Half in Uganda say this as well. Meanwhile, even though only 29% of mobile owners in South Africa and 24% in Senegal say they use their phones for monetary transactions, these are still among the highest percentages across all the countries surveyed. 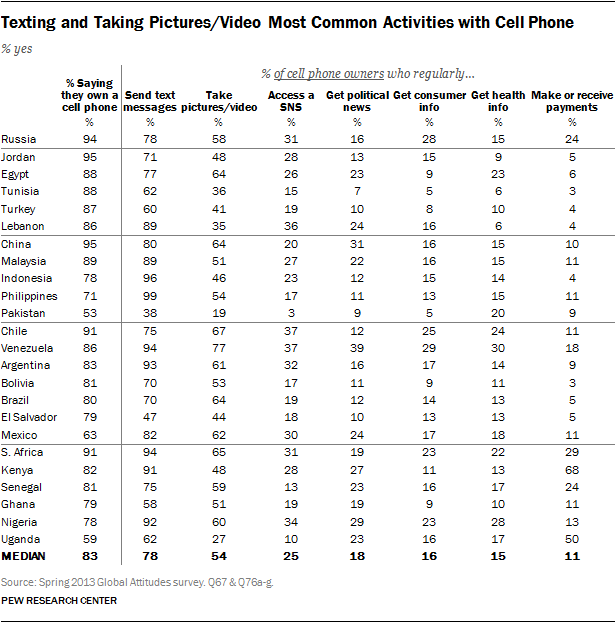 Only in Russia (24%) do as many cell owners use their device for such purposes. 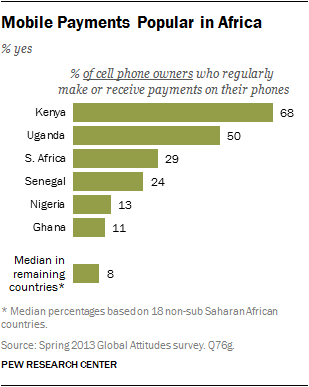 In the 18 countries surveyed outside of sub-Saharan Africa, a median of only 8% use their cell phones for making and receiving payments.